Remember the time when Motorola was under dark pits? That was the time when the Chinese manufacturer Lenovo stepped in and acquired the company. But unlike other business acquisitions, Lenovo kept Motorola’s brand name intact and started marketing smartphones under its niche segment. But yesterday, what looks like a bad PR communication, reports surfaced that Lenovo is planning to phase out Motorola. To clear up the confusion, Motorola has issued an official statement on its blog. Rick Osterloh, Motorola’s COO said in an interview that the upcoming Motorola smartphones will now display Lenovo’s name, and will be known as “Moto by Lenovo”. He said, “We’ll slowly phase out Motorola and focus on Moto”. Sadly, the statement was misconstrued by many media outlets. The step taken by Lenovo is in the direction of merging both smartphone businesses under a single name. However, it does not mean that Motorola will no longer be a part of the plan. Lenovo will still be using Motorola’s Moto brand for its flagship level products and the Vibe brand will be used for the mid-range segment of devices. Moreover, Lenovo will also keep Motorola’s name for the organizational settings and it will also be granted a separate division, dubbed as “Moto division”. Lenovo is sure moving towards greater changes, but it is still not ready to let go of the iconic Moto brand. 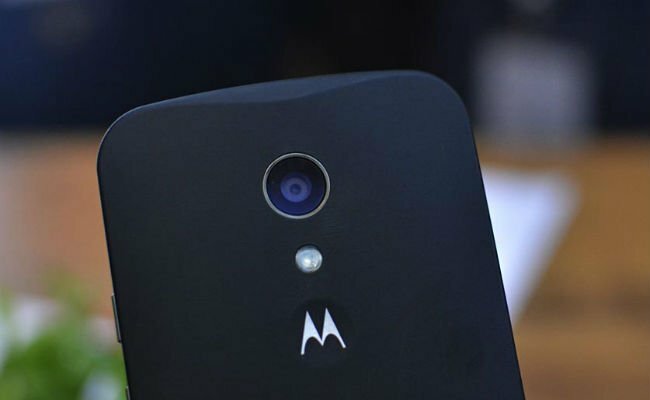 As a result, it will still be using Moto batwing logo on its devices. Many reports suggested that the Moto X and similar other smartphones will prominently feature the Blue Lenovo logo. In recent times, Motorola’s smartphones have been fairing better than Lenovo, and maybe that’s the reason why Lenovo is bringing in little changes for marketing its own name too. Going back in the times, Google was the first one to buy Motorola Mobility for $12.5 billion in 2012. Thereafter, in the year 2014, Lenovo acquired the company. Soon after the acquisition, Motorola emerged as one of the strongest market players. It was successful in building a good user base with its successful smartphones series such as the Moto G, Moto X and Moto E.
On a brighter side, the Motorola smartphones will just be known as “Moto X or G” not “Motorola Moto X”, right? People conveniently forget that there was a time Motorola completely disappeared from the market and when it was back, it was an embarrassment having to use Motorola phones. Now its current phones are just okay, nothing out of this world. It’s not that Lenovo will destroy Motorola or something. Motorola was not being innovative, it just kept coming out with rehashed phones with marginal changes in design and specs. Hope that changes now. @Zara Ali Selling of Motorola Mobility is a big mistake by Google. With Motorola branding, Google might have targeted all the sections of buyers in handset market without damaging any of its own running business. Whereas in the case of Lenovo, Lenovo branded mobiles are getting tough competition from Motorola branded products, so “Lenovo gonna kill Moto”. Disappointing news. My first mobile was Motorola C-200 in 2003.